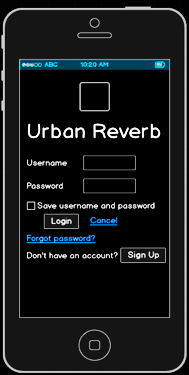 Urban Reverb is a mobile app which helps people become more aware of their surrounding environment through music. As part of the Human Centered Interaction (HCI) course, the team of 4, including students from computer science and architecture, developed the user interface and a prototype of the app. The idea behind this system is to provide users with a new way to interact with and understand space. 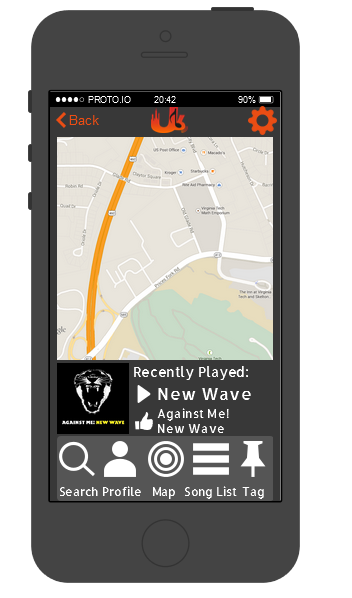 The app is oriented by location and the genre of music people choose to listen and share in those locations. This not only provides interesting new opportunities for the development of communities to provide a new platform for cultural practice, it also suggests new information about the sense of place and how the ambient environment of a city or campus may thrive a certain type of music based on the characteristics of the space. Communication between the mobile application and the database management system was done using an intermediary server. 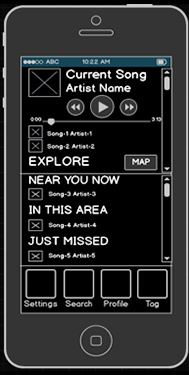 The app allows users to see music played near them using a map or a list of songs. 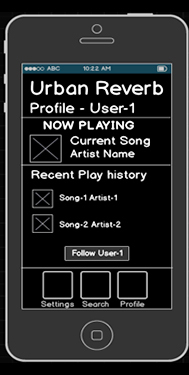 It also enables tagging of songs to locations, letting people display which songs they associate with particular places. Users have profiles, which allow further discovering of music and following others with similar tastes.